Do you remember advanced Atlantis - an island continent, ruled by magicians and destroyed by nature some 25,000 years ago? 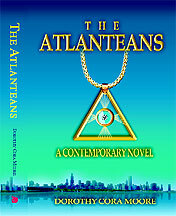 Could you be one of the Atlanteans? askAlana.com: Heart Connections Directory - One of the largest Transformational Directories in the World. astro.com - The international website for Astrology. Get your Personal Daily Horoscope and a wide selection of free horoscopes! Time zone database, birth place query, chart of the moment. Astrodienst Time Zone Atlas. AstroCare.net - Welcome to the web office of Brad Kochunas, M.A. Astrology consultant. A unique approach to helping using an astrological perspective. Astrologica - On-line chart calculations, natal and medical astrology textbooks, and a modified version of the computer program Astrolog. Free daily and weekly horoscopes, compatibility readings and birth chart analysis with graphics and chart databases. C.U.R.A. (University Centre for Astrological Research) - an epistemological, historical and critical approach of astrology. The site is free and provides articles, texts, documents and bibliographies. It's fully English- and French-speaking. Findastrologer.com is the web's most complete astrology resource center. Find astrologers by name, location or specialty. Find astrology organizations, conferences, classes and an excellent selection of astrology products. Cosmos and Psyche - Home of Richard Tarnas, author of "Cosmos and Psyche" and "The Passion of the Western Mind." Richard is co-creator with Philip Levine of the "Calendar of Archetypal Influences," available from Sirius Astrological Services. Khaldea - Home of Authentic Humanistic and Transpersonal Astrology . The Lost Horoscope X-Files Astrology software and free birth chart analysis tips based on the lost horoscope x-files from ancient greek, medieval and renaissance sources. Light On Vedic Astrology - An active Vedic astrology website that offers an online course, daily articles, monthly newsletters, astro-profiles of celebrities, a discussion board and more. A Place in Space - quality leading-edge articles from astrologers around the globe. Wholistic Astrologer - Quarterly International Astrology Journal for the New Millennium . Your Exact Time of Birth to 1 Sec - Vedic astrologers calculate your time of birth accurately from life events. Easy online service via internet. Use Birth Time Calculators to check your birth time accuracy for astrology charts and horoscopes. askAlana.com: Helping you learn to trust your Heart - Attract your soul mate, discover your life purpose, embrace your intuition, truly love yourself, find inner peace, manifest a joyful future, nurture your body, and improve your relationships. Astrological Chart Jewelry by Wandering Star Designs - Wearable, readable astrology charts! Cosmic Watch - THE WORLDS FIRST INTERACTIVE ASTRONOMICAL CLOCK. The COSMIC WATCH is an interactive and 3D state of the art realtime worldclock, an antikythera mechanism, an orrery, an armillary sphere, a time travel machine, an astral-chart generator and an astrolab combined. Dawn Mountain Press - Books on Astrology and Spiritual Psychology by Greg Bogart,Ph.D. Jewelry and Gems for Self discovery - Youll never look at jewelry the same way again, a book about healing, custom made gold and silver jewelry based on your astrological chart, individualized with your healing gemstones, very personal, soul-enhancing jewelry by Maui author, astrologer and jeweler Shakti Carola Navran. Astrology by Star*Charts - Astrology information, charts and interpretations for greater insight into romance, family and enriching your life. Free horoscopes with each report. Astrologers' Memorial - This Virtual Museum created by Donna Cunningham is to commemorate Twentieth Century astrologers who have passed on but who left our field a legacy of service and knowledge. The Creative Living Center - The Creative Living Center offers non-ordinary opportunities with individuals who bring forth their gifts, skills and wisdom through compassionate teaching and guidance. The intent of the Center is to create a conscious community of people who move beyond restriction to offer creative and compassionate responses in all areas of life. Discover Centeredness Within Participation Mystique Through the Practice of The Archetypal I and Archetypal Astrology - A Support/Share Group Online to study the book Cosmos & Psyche: Intimations of a New World View by Richard Tarnas along with the practice of 'The Archetypal I' using A Calendar of Archetypal Influences by both authors.